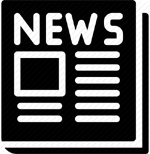 "Many young and not so young people can benefit from useful skills taught at Scottish Kempo Academy schools that could transform lives!" Take your life, or your child's life to the highest level... 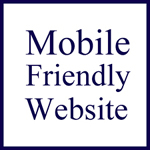 Welcome to the Scottish Kempo Academy (SKA) website! Based in the scenic Highlands of Scotland, we are a friendly, family-orientated, professional and well established Self-Defence organisation who take pride in being one of the finest Martial Arts organisations in the world with schools at Inverness, Tain, Dingwall, Bonar Bridge, Alness and Strathpeffer. We have affiliated schools at Fortrose, Culbokie, North Kessock, Kiltarlity, Muir of Ord, Avoch and Conon Bridge with the SOS School of Self-Defence (SOS), as well as an affiliated Kempo school at Balintore with the Seaboard Self-Defence (SSD). We are the largest Self-Defence organisation in the North of Scotland and have Lil' Dragons classes for children aged 4 - 7 years-old, and Kempo classes for children aged 8+ years-old, teens and adults. Our programmes are motivational, educational and inspirational with students receiving safe, effective and practical defensive tuition whilst reaching goals and skills they never dreamt that they could achieve! Many adults feel they are too old or too unfit to start Martial Arts training. This couldn't be further from the truth! Our adult Kempo classes are a fantastic way to get fit, stay in shape and have fun while learning vital street Self-Defence skills. 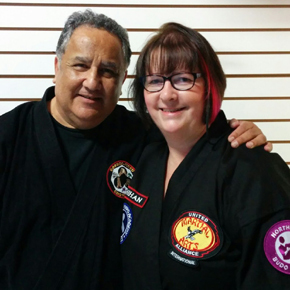 From the very first Kempo lesson, adults learn how relatively easy it is to learn. Since the movements are natural, students begin to formulate Self-Defence techniques immediately. In addition, many of our adult students have attributed success in their personal careers to the self-discipline and focus gained through their training. Our fun, exciting, yet structured and disciplined Lil' Dragon and Kempo classes, teach children how to focus their attention which improves their ability to learn Kempo techniques and defend themselves from a bully combined with the three rules of engagement. Learning builds a real sense of accomplishment in children and with each new accomplishment a child's self-confidence will grow. Once we begin to build a child's confidence we are then able to instil the values of respect, courtesy, honesty and integrity that are the foundations of the Martial Arts dating back thousands of years. Our Chief Coach is Kyoshi (Professor) Neil Hourston who is an 8th Degree Black Belt Master Instructor and a two-time 'Hall of Fame' member who has been studying and teaching combative Martial Arts systems for over 34 years in the UK, USA, Holland, Spain, Sweden, Italy and Portugal. 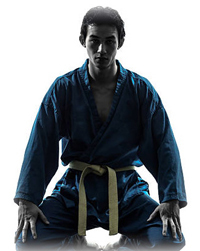 He is assisted by an inspirational team of male and female Brown and Black Belt instructors. His Mentor is Professor James Muro 10th Degree Black Belt, who lives in California, America, and is head of the Goshin-Jitsu Chow-Hoon organisation. We are proud to have genuine Kempo lineage through Professor Muro! Hilton Community Centre, Inverness, Saturday 22nd June. Seaboard Memorial Hall, Balintore, Sunday 23rd June... Exams at Inverness begin at 11am for children grading white to red belt, 12.30am for children grading green belt stripe upwards and 1.30pm for adults. Exams at Balintore begin at 11am for children grading white to red belt, 12.30pm for children grading green belt stripe upwards and 1.30pm for adults. 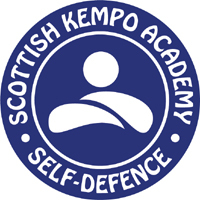 "Very informative and focused work done with our pupils on Kempo Self-Defence. Principles and tactics were relayed and taught skilfully - our pupils benefited from learning about real life situations in a realistic, challenging, enjoyable, atmosphere. We are keen to include such expertise into our syllabus from now on."